CONFIG_TEXT: SMTP Error (554): Failed to add recipient "john.doe@example1.com" (5.7.1 <bob.doe@example2.com>: Sender address rejected: Access denied). It is prohibited to send and receive emails for blacklisted domain. 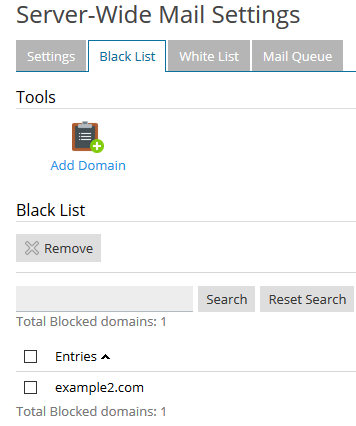 Remove the domain from Plesk > Tools & Settings > Mail Server Settings > Black List.